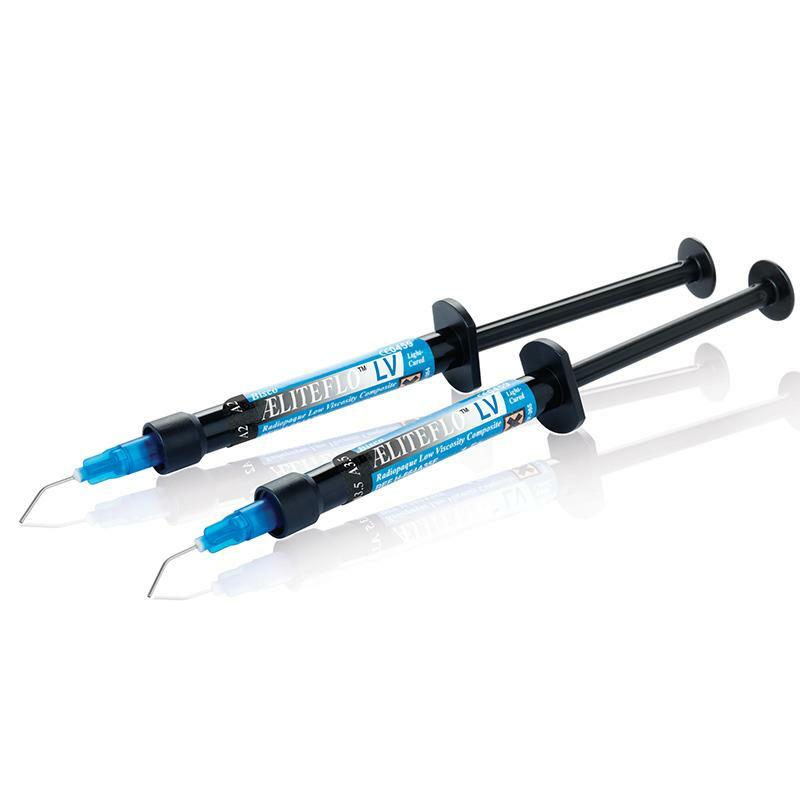 ÆLITEFLO LV is a multi-use flow-able resin based composite with high radiopacity. When applying the first layer of aresin based composite to a tooth preparation it is critical that the material adapts to the preparation walls to create a void free seal. ÆLITEFLO LV exhibits self-leveling properties, facilitating excellent adaptation to the preparation walls, avoiding air entrapment. It is recommended that the radiopacity of composite be greater than or equal to enamel at 2.25mm of Al, ÆLITEFLO LV at 2.72 mm Al is easy to differentiate from other restorative materials allowing for easy identification on the radiographs. The ÆLITEFLO restorative line from BISCO has demonstrated over 15 years of proven clinical success, and high clinician acceptance.